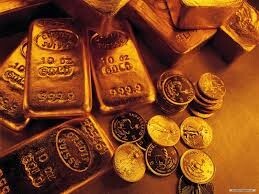 Pure GOLD is a beautiful rich yellow metal worshiped and highly prized by many societies throughout human history. 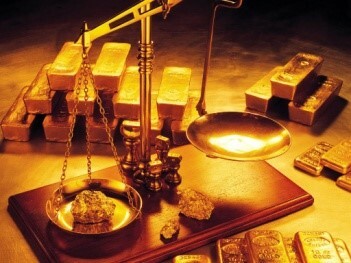 Gold is one of the heaviest substances on earth and when pure, it has a specific gravity of 19.3. 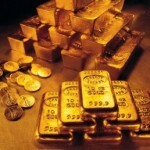 The international weight measurement of Gold is One troy ounce which equals 31.1 grams. Its Atomic Number is 79 and chemical element on the Periodic Table is the Symbol Au (aurum in Latin, meaning glow of sunrise). I really enjoyed my Chemistry classes in High School. Gold is also one of the most non reactive metals and it (almost) does not react with other elements. Gold is the most malleable metal on Earth and is easily molded and shaped because Pure Gold easily bends. Gold jewellery is always mixed with other metals to increase its resistance and strength. The ‘alloy’ (mixture of 2 or more metals) is identifiable by its carat which is determined by the percentage of Gold in the alloy. 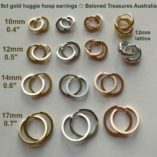 The scale is 1 to 24 (24 carat is Pure Gold) and the most common carat weight in Australia is 9ct. 9ct Gold (hallmarked 375 = 37.5% gold content). 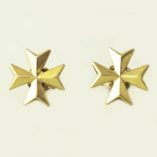 14ct Gold (hallmarked 585 = 58.5% gold content). 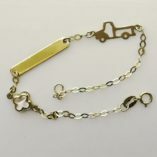 18ct Gold (hallmarked 750 = 75% gold content). 22ct Gold (hallmarked 916 = 91.6% gold content). 24ct Gold (hallmarked 999 = 99.9% gold content). Pure 24ct Gold is never used in jewellery because it is easily bent out of shape and does not have much resistance to pressure. 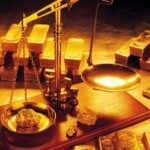 Gold Au does not tarnish, is a high conductor of electricity. has a high resistance to corrosion and chemical reactions, and is unaffected by most chemicals, however it can discolour by exposure to bleach, chlorine and certain detergents. Yellow Gold retains its original golden yellow colour even though it is mixed (alloyed) with other metals to strengthen its resistance and toughness. Rose Gold is a pink reddish tone. The colour is created by mixing (alloying) the Gold with copper. 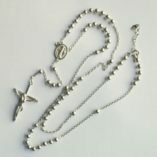 White Gold is pale and almost silver-coloured. The colour is created by mixing (alloying) the Gold with nickel, zinc, and sometimes palladium. Gold masks, amulets, figurines & ornaments were used by many ancient civilizations. 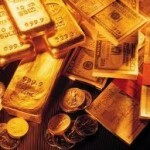 Gold has made a monetary standard in the world economy possible. The concept of money opened up the World's economies to expand and prosper. During the Classic period of Greek and Roman rule in the western world, gold and silver both flowed to India for spices and to China for silk. At the height of the Empire (A.D. 98-160), Roman gold and silver coins reigned from Britain to North Africa and Egypt. Most of the Earth's Gold lies at its core. It sunk there in the Earth’s infancy due to the high density of the metal. Virtually all of the gold that mankind has discovered is considered to have been deposited later by meteorites which contained the element. The asteroid that formed the Vredefort Crater in South Africa is estimated to have been one of the largest ever to strike Earth, at least since the Hadean eon some four billion years ago. It is thought to have been approximately 300km across in diameter. This crater has been implicated in the formation of the largest gold mining region on earth, the Witwatersrand basin. It holds the world's largest known Gold reserves and has produced over 1.5 billion ounces, over 40,000metric tons. Astronaut visors contain 24 carat pure gold. The Gold is transparent enough for astronauts to see through and protect them from the harmful solar rays. Gold prevents overheating by reflecting away infra-red radiation. 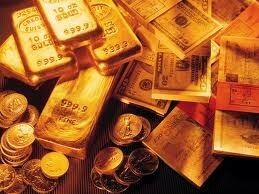 Gold is so rare that only approx 152,000 metric tons has been mined in all recorded history. 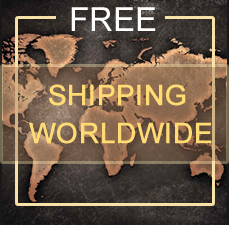 To put it in perspective, you can fit all of the world's known gold into less than 100 tractor trailers. The majority of gold (between 70% - 80%) is privately owned in the form of jewellery. 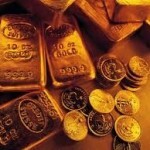 The other 10% - 20% of gold is stored in banks. 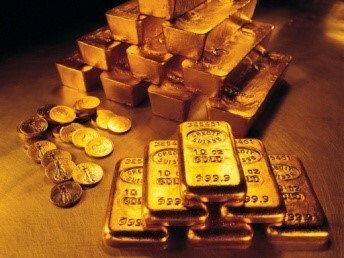 The remaining gold is used in other industries, such as dentistry and technology.